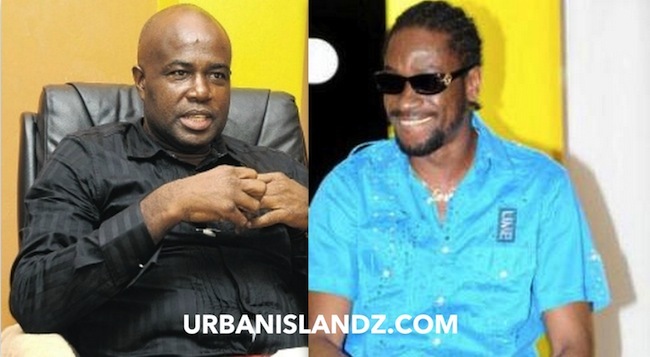 There is a beef brewing between dancehall heavy weight Bounty Killer and Sting promoter Isiah Laing. According to a recent Tweet sent out by the Killer, Laing is sending him threats. In a message posted on his Twitter page, Bounty Killer says Laing threatened to end his career after this year’s staging of Sting. “So mi get it a so mi say, yeah mi hearsay Laing a chat off him face last nite a Hilton or pegasus hotel one a dem, how him ago mash me up after sting bcuz mi tell him Go S–k Out Him Money and his him mother mi did waah tell him bout, like I did mis select my words, so Him Nuh Can Mek Heavy D S–k Out Him Money fi him then, and how a nuh mi shirt alone did get crushed up in 2000? and mi fi tell the ppl dem bout the Box mi did get! Kmft!! Laing first thing u can’t set mi up like kartel and secondly u or Any Boy or Gal Box me getting back all type of Boxes and cases to Bloodcl–th ok bring it”. According to Bounty Killer, Isiah Laing plays a pivotal role in the downfall of Vybz Kartel, who refused to performed at Sting in December 2010. Do you think Laing is fighting artists who don’t perform at Sting? Some bwoy mind dutty! Think dem money an connections can keep down an control people! Free Kartel! Set Dancehall music free! 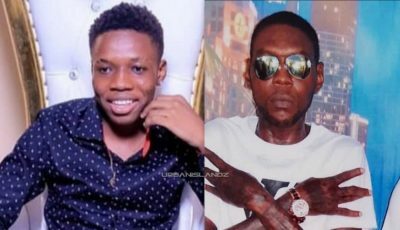 So it is true Laing set up Vybz Kartel and box Bounty. Laiing needs to remember dat him money cant buy people and he needs peeps to make sting successful. F**k u Laing,…FREE WORLD BOSS.